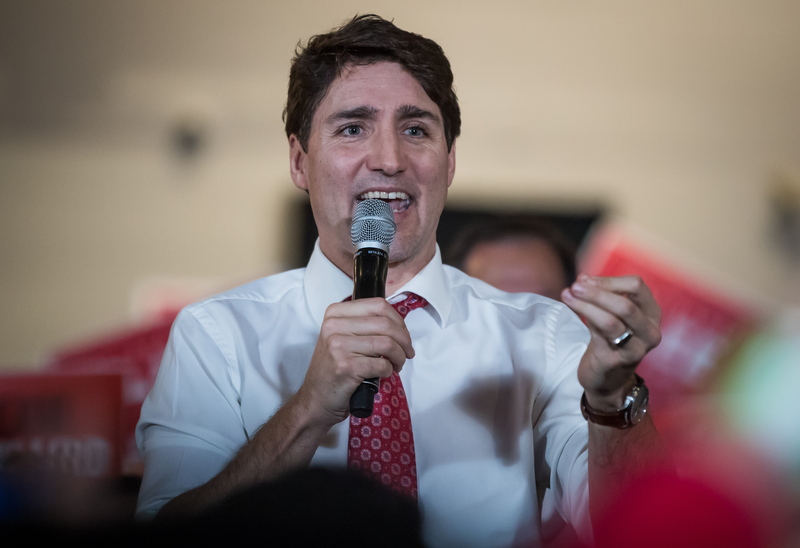 Prime Minister Justin Trudeau continued to deny any wrongdoing and said on Monday he “welcomes” an investigation being launched by the federal ethics commissioner into allegations of political interference by his office in the SNC-Lavalin case. The scandal began last week when the Globe and Mail reported that the Prime Minister’s Office had pressured former attorney general Jody Wilson-Raybould to get public prosecutors to give the Quebec-based engineering company a deferred prosecution agreement and allow them to avoid a criminal trial. The agreement would have forced the company to admit to wrongdoing, pay back any money made from the alleged crimes, and pay a fine. “We welcome the ethics commissioner’s investigation,” Trudeau said in a press conference in Vancouver. SNC-Lavalin is accused of corruption, including bribes, and fraud, related to their business in Libya. A conviction would prevent them from bidding on any government contracts for 10 years. The company has already been banned from bidding on projects financed by the World Bank, following allegations of bribery in Bangladesh. “At no time did we direct the attorney general, current or previous, to take any decision whatsoever in this matter,” Trudeau told reporters. Pressed on whether or not there was any kind of pressure on Wilson-Raybould, Trudeau continued to repeat that his office did not “direct” the attorney general. The federal ethics commissioner is launching a formal investigation following a request from the NDP. It’s unclear, however, when the investigation will be completed. Speaking with reporters in BC, Trudeau attempted to shed light on why Wilson-Raybould, who has said she is bound by attorney client privilege, hadn’t publicly denied that she was pressured by his office. Last month, Wilson-Raybould was moved from the high-profile justice minister position to the minister of veterans’ affairs, which many characterized as a demotion. The Globe and Mail suggested in its story that the move was a consequence of her refusing to interfere in the SNC-Lavalin case. On Wednesday, the House Justice Committee will be meeting to consider a motion calling on Wilson-Raybould, Lametti, and other senior government officials to testify. The Conservatives have reached out directly to the Liberals on the committee and asked them to support the motion.